Online tools are vital when managing your private practice as a career practitioner or as a careers counsellor based in a school. Most of these also have the ability to be used on a mobile device as well as a separate app for both Android and iOS. Some of these tools are very specific and will work better in a private practice, rather than a school situation. This is a great alternative to using ‘Twitter’ as a back channel. 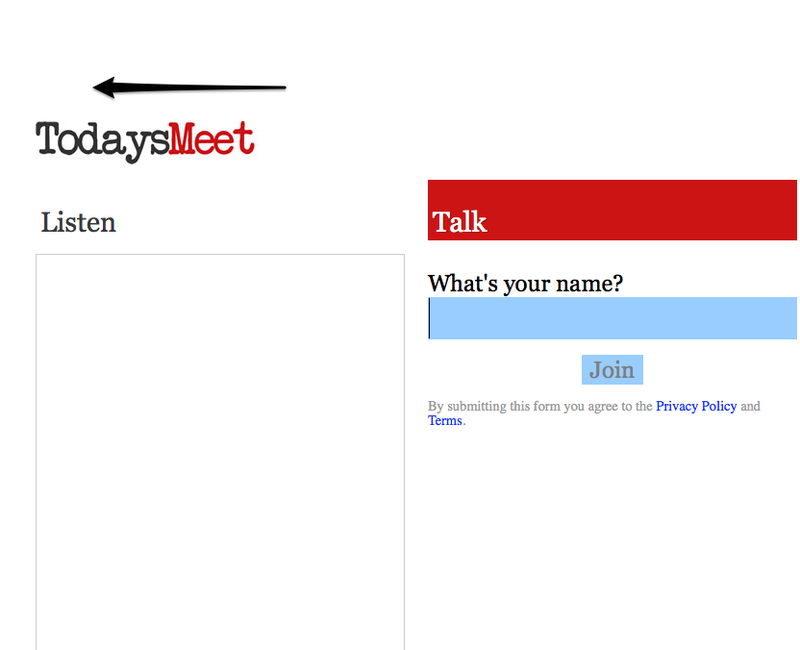 A back channel is a conversation that goes on during a workshop, conference or even webinar. 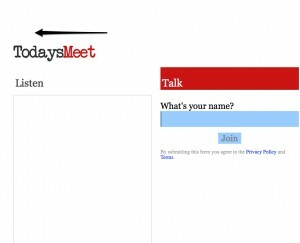 Simply set up a room name (it will tell you if that name is already taken) and choose how long you would like to keep the room open for: from 1 day to 1 year. Share that link and then watch the conversation unfold. I often use this at conferences or even workshops for feedback as often not everyone I work with has Twitter. I love using this as you don’t have to put your real name in, each time you post a message to the chat you only have 140 characters to complete this in. Career practitioners in private practice can also use for ongoing dialogue between clients. One of the struggles that clients might have, is to recognise key words in their job applications. 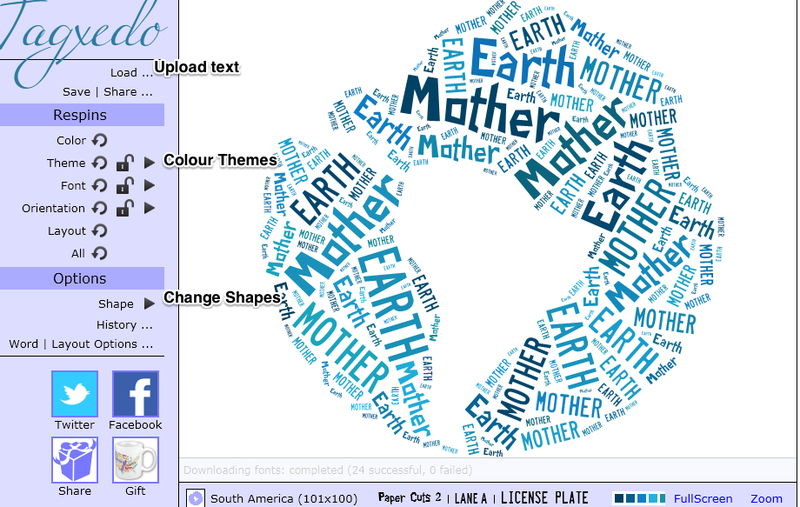 Tagxedo is a ‘word cloud’ tool where you can either a web address or pasted text into the website to create a word cloud. I would use this tool as a starting block for my ‘tech coaching’ clients when they need to focus on key outcomes. Rebecca Fraser from ‘CDAA’ has prepared a handout entitled ‘ Australian Resume Guidelines’ and under the heading of ‘E-Recruitment Technologies’ it suggests that images used within a resume may not be readable by some e-recruitment tools. She recommended putting images/QR Codes in the ‘header or footer’ of the resume. Pinterest is a fantastic tool for curating content and knowledge for your clients (as a career practitioner or counsellor) whether they are students or adults. Think of Pinterest, like a giant online corkboard where each board is like a piece of paper and then lots of sticky notes attatched for the pieces of paper as individual pins. You can only pin a website that has images/video or alternately upload images. If a website doesn’t have a ‘pinnable’ image, it won’t be able to upload it to Pinterest. I would advise to set up a business account first as you will then be able to track the analytics of your Pinterest account. When planning any form of digital strategy, brainstorming the categories or ideas around using that tool must take place first. Brainstorming 10 boards (main ideas) for your Pinterest account is the first step I would take after setting up your Pinterest account. 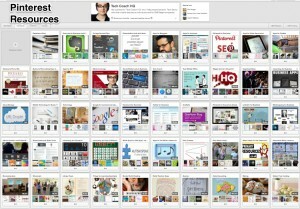 The top six boards on your Pinterest page have the highest visibility so make sure that they are current. 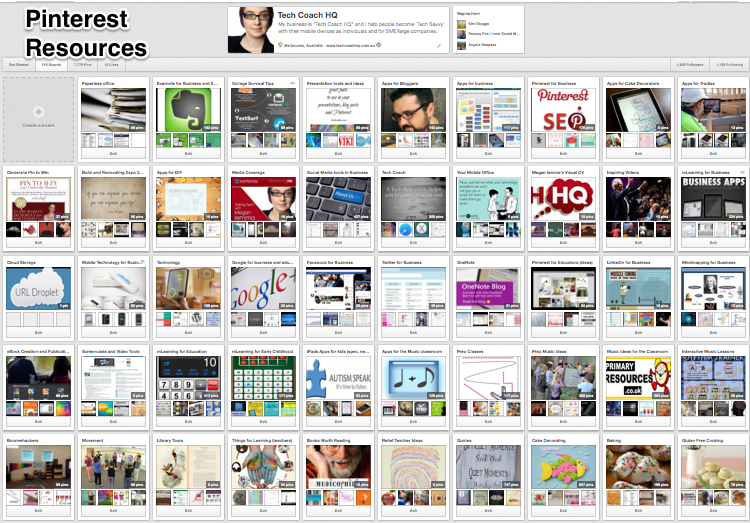 To move the boards around on Pinterest, just click and drag (then drop to the new position). This feature only works on desktop web browsers (not on the mobile app). 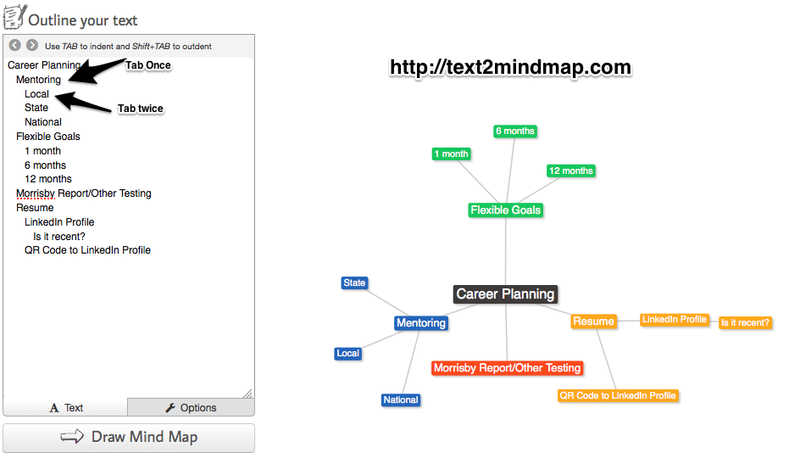 Text2Mindmap is a great digital tool to use with clients. It works on the premise of typing in text (first with a heading) and use ‘TAB’ to go to the next bubble. ‘TAB’ in again to create another link with the previous bubble. See image below. 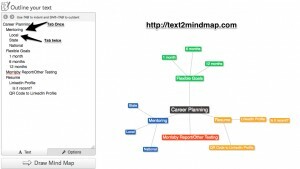 Often people struggle to visualise how to structure their mindmaps, this takes away the stress. Evernote Web Clipper is a browser add-on that you download (use for the relevant browser such as Firefox, Chrome, Safari). When setting this up, you will need to have an Evernote Account already set up so you can sign in and start straight away. Tick the box that says ‘ add recommended notes’ so when searching on the Internet any relevant notes in Evernote will pop up on the right hand side of the web browser. I personally use Evernote Web Clipper to save all my online research including text, links and images and then file in the appropriate ‘Notebook’. 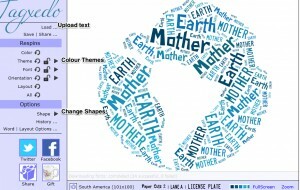 This is similar to Evernote Web Clipper in that it clips content to your Evernote Notebooks. The main difference is that Evernote Clearly lets you read your favorite content on the Web without all the distractions. Simply download the browser add-on and this app removes unwanted pictures, advertisements leaving you with just the text on a web page. There is also a fantastic feature of ‘Text-to-Speech’ that enables the content to be read back to you. 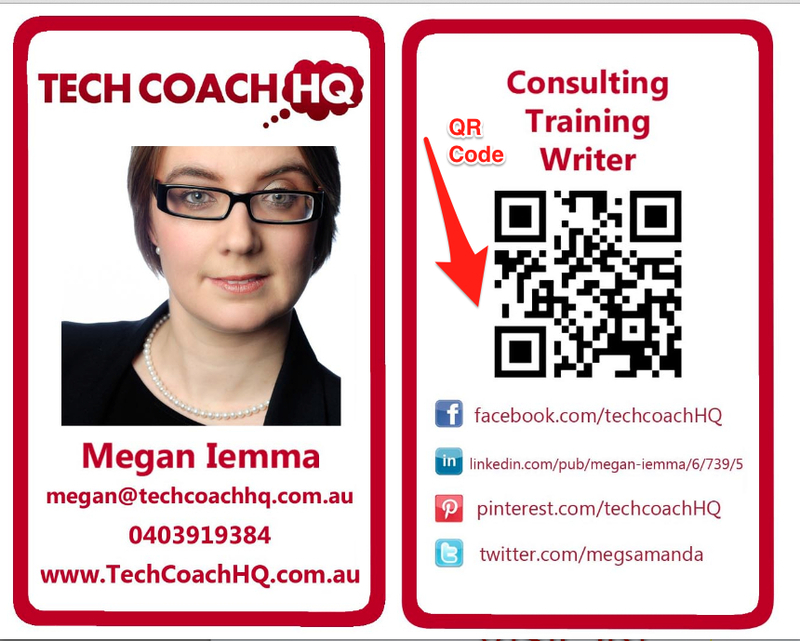 QR Codes are a great way of sharing extra information when there is a limited amount of space for text. These codes are like a barcode (see below) which are scanned and send the user off to a website, an audio file, video or image. You will need to download a QR reader app for your smartphone or tablet device. Select the QR reader app and hold the device over the barcode, this should read the code and then send you to the link. 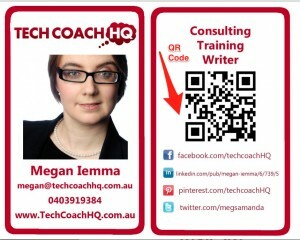 This is great as a marketing tool (example of my business card) or for flyers advertising your services. What online tools do you use as a career counsellor or career practitioner for your private practice or in an educational institution?